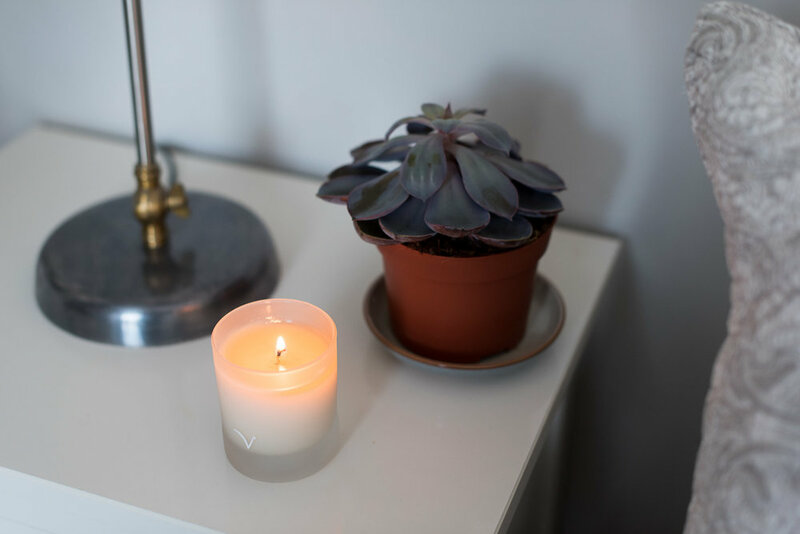 If there’s one thing I am really passionate about it’s helping to shout about the work of my favourite established and rising brands, to support the launch of new products and businesses. 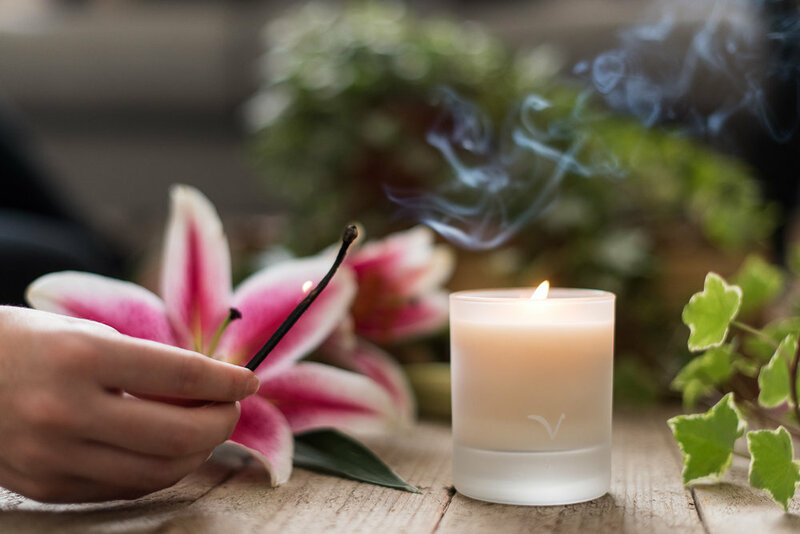 A few weekends ago, a brand new company, Visibly Vegan got in touch with Neil and I through our business Elements asking whether we could style and shoot product imagery for their brand new luxury Vegan lifestyle range, launching very soon. 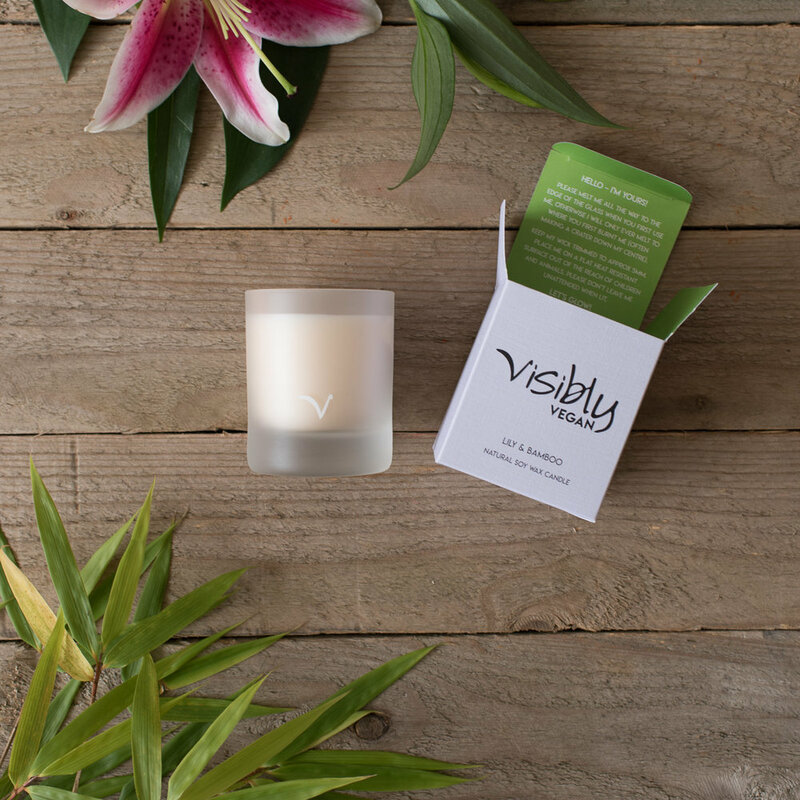 Visibly Vegan is a luxury lifestyle brand like no other. When I saw the enquiry come through, I knew we had to snap up the opportunity as this brand is special. 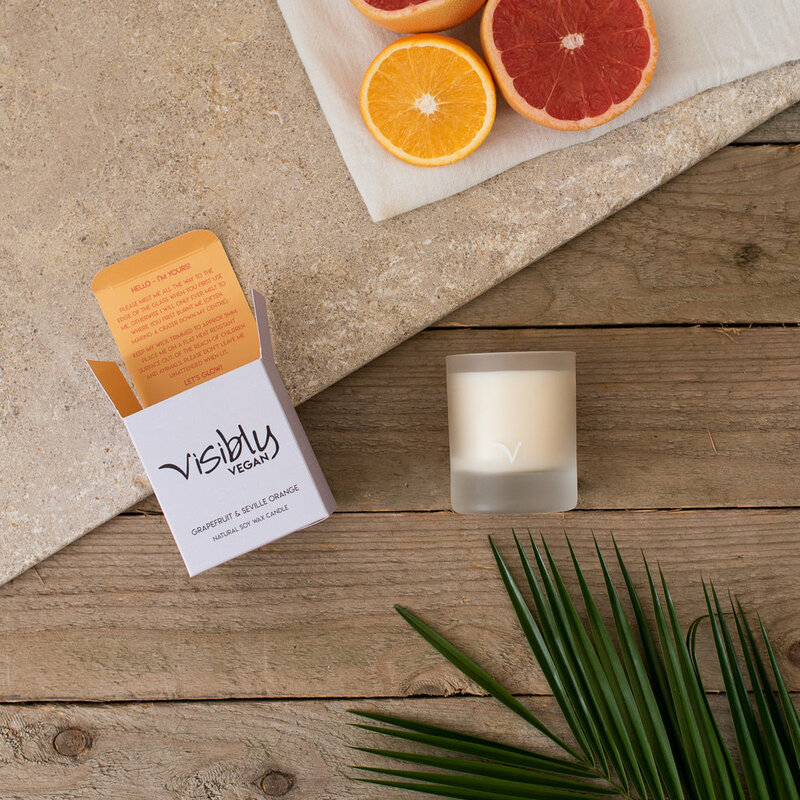 Visibly Vegan’s debut product release is a stylish range of 3 luxury soy wax scented candles each in a unique scent - Vanilla & Cedarwood (my fave of the 3), Grapefruit & Seville Orange and Lily & Bamboo. 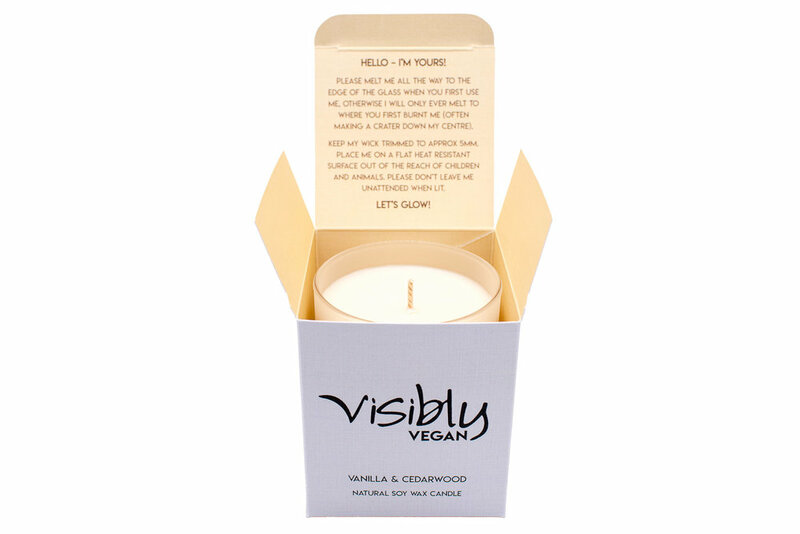 Everything from the glass votive, to the candle to the packaging is 100% vegan, cruelty free and lovingly handmade in the UK. It was such a pleasure working with Neil and this new company to put together their first library of images as they launch to the world. Here are a few images from the shoot. 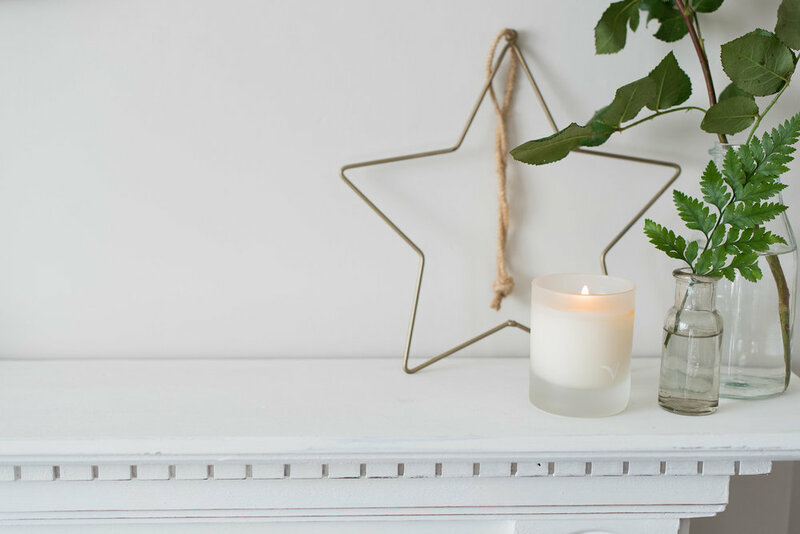 A UK Brighton based interior and lifestyle blogger specialising in interior design, modern farmhouse home decoration and country living. A cushion addict + home renovator swooning over all things modern farmhouse and country living. Are you on Instagram too? Let’s hang out! Monthly newsletters to fluff up your inbox! Your email will never be shared with third parties.